The ESA-L Basic Analyzers provide basic general-purpose spectrum analysis for bench-top, manufacturing or service environments with the speed and accuracy you need. Selecting the Basic Analyzers results in the best value, fastest delivery, and most favorable price. Agilent E4403B spectrum analyzer sales and repairs at BRL Test. Low prices on premium quality used E4403B's. Freshly calibrated, certified and guaranteed to work accurately right out of the box - no worries. Purchase easy knowing that your full warranty is backed up by our in house repair engineering department . Our military trained techs repair E4403B's at our world class lab. 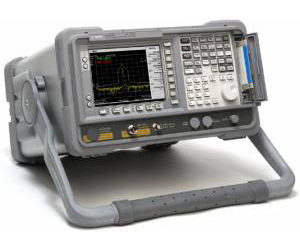 We absolutely know Agilent spectrum analyzers. Ships worldwide from Orlando, FL Florida.